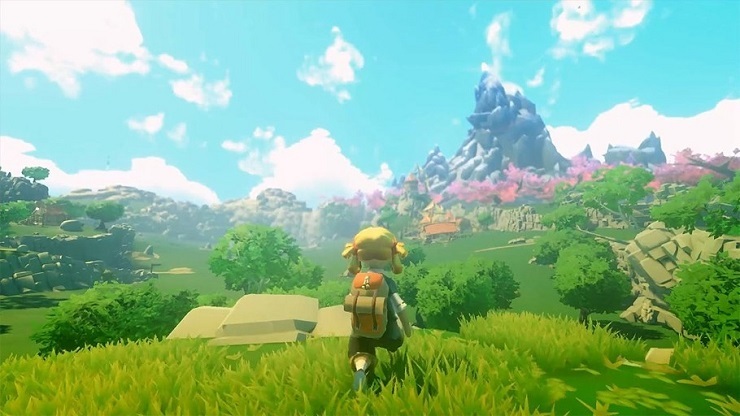 I have never played a game where I have been equally entranced and frustrated by until I played Yonder: The Cloud Catcher Chronicles, an open world game with a focus on crafting and exploration. Developed by a small team based in Australia, it’s a technically and visually impressive game with a large world to explore and plenty of things to do, but it gates much of the enjoyment behind an obtuse crafting and trading system that renders a lot of its mechanics redundant. You are the nameless hero returning to your home, Gemea after an unspecified period of absence, but the home you return to has been plunged into darkness by mysterious cloud like corruption called “The Murk”. The inhabitants are sad and downtrodden and it is your job, together with the help of some ethereal sprites that you find and free in the world, to remove the Murk and bring happiness back to the land. It is lovely and charming, with a beautiful, vibrant world to explore. Along the way you will meet the residents of Gemea and help them with various tasks, and in return they teach you how to farm and craft things; gradually, through your actions in the land the people of Gemea find their happiness again. There is no speech in the world. Conversations with the villagers are limited to text boxes with no interrogation outside of their intended chatter. Some residents will give you quests to complete, like finding a missing dog like creature and then crafting a plushie kitten to keep it calm, or crafting a scarecrow a set of clothes so that it can tackle the different elements each season throws at it. The tasks are simple and pleasant and encourage exploration of the land of Gemea. Throughout the course of completing these quests you are also tasked with finding out what caused the Murk to descend upon the land and to clear it gradually with the help of the sprites you find throughout your travels. Each patch of Murk requires you to have found a certain number of sprites before it can be cleared so there is lots of tracking backwards and forwards finishing quests and foraging for items. There is no combat in the game at all, with no sense of peril at any point. Jump off high areas and you will deploy an umbrella that allows you to gently float down to the ground. Step into water that is slightly too deep and the screen will fade to black before fading back to find your character standing on the edge of the water again with no penalty. It makes for a relaxing, soothing experience hiking across the various biomes Gemea has to offer collecting items and helping the villagers. Helping the villagers and completing their various quests gradually opens up the crafting and farming mechanics to you, but this is where the game starts to experience trouble. Early on you are given a farm as a reward, and taught how to attract one of the nearby animals to it so you can start to generate produce and in turn an income. You are told you need to build a large pen to house the animal and supply it with a water and fodder trough to keep it healthy. Building is easy, the farm is divided up utilising a grid and the items you place will use up a number of squares from the grid depending on the size of the item. If you want to grow your farm, however, you will need to find and join one of the various crafting guilds dotted around the land. The guilds are split up into various skills such as carpentry, construction, tinkering (machinery), cooking, tailoring and brewing. Finding and joining one of the guilds is a fairly straightforward process of completing a couple of tasks. Once in, new recipes will open up for you and you are tasked with crafting enough items in each guild to obtain the rank of Master whereupon further recipes will become available. The issue is, that you simply cannot craft everything you require for each recipe because you don’t have a recipe for each component. For example, building one of the farm buildings requires you to have wood, planks, nails and glue. You can chop trees down for wood, and visit the lumber mill to turn that wood into planks, but you cannot craft nails or glue. Instead you must visit a vendor to obtain these items and then trade the things you have gathered during your travels up to the value of the bits you want to buy. Trading is equally frustrating, instead of quickly selling unwanted items to generate currency to then buy the items you desire, you have to physically trade. For example, five nails might cost 20 of the in game currency, stone is worth one, so to get the nails you could trade for 20 stone. It’s unnecessarily fiddly and often ends up with you trading away an ingredient for a recipe that you find later down the line. Furthermore, the ingredients you need for specific guild recipes are often found within another guild. The Tailor’s guild allows you to craft items of clothing which are largely for cosmetic purposes but are also linked to a couple of quests. To craft a basic tunic you require blue dye. You can craft blue dye in the Brewer’s Guild, but to do so you need blue berries. You can grow blue berries, but to do so you need to be a master in either the Carpenter’s or Constructor’s guild to build tilled earth to plant your blue berry seeds, and you can’t become a master in either of those guilds without doing some trading with the merchants. And only specific merchants stock the items you require and once they have sold out there is a cooldown period before you can purchase more. It all feels unnecessarily gated behind a frustrating and obtuse system. You can, of course, ignore this element of the game for the most part and proceed on with the main story which sees you travelling right across the land of Gemea. Once completed a further guild opens up and there is an opportunity to partake in much of the farming and crafting post-game, but at this point I have to ask the question: Why bother? Spending time in Gemea is a lovely, sedate experience and I am at a loss why I couldn’t spend that time farming and building to make my farms pretty, attracting critters to my farms to live, and selling the produce to buy more materials to build again, and get around to healing Gemea on my own terms. 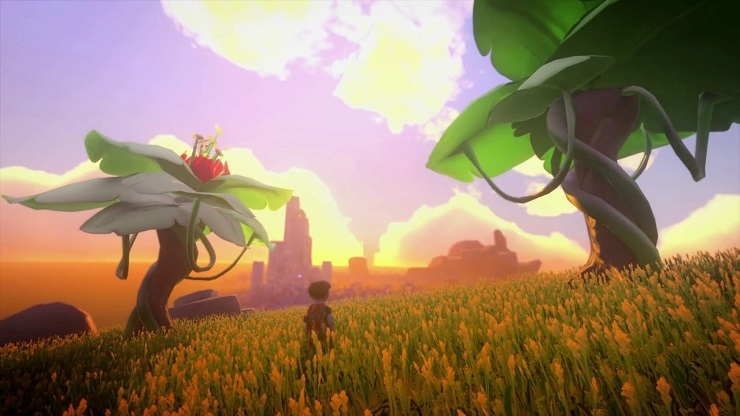 I really like Yonder: The Cloud Catcher Chronicles, and I want to love it, but the restrictions it places on crafting and farming leave me confused. By holding back a lot of the recipes, and hiding the ability to craft the ingredients for each recipe across multiple guilds that need to be located and joined renders the crafting side of the game moot. The story itself is pleasant enough and travelling around Gemea is consistently a joy with plenty of distractions, it’s just a shame that one of the key parts of the game that should keep you coming back for more is such a pain to do. 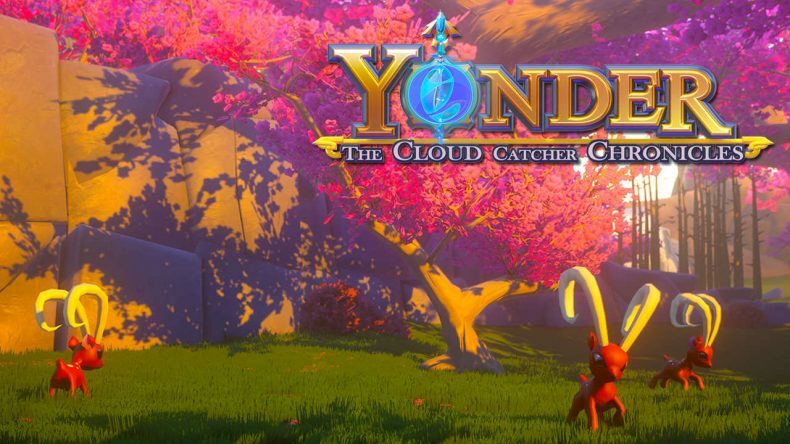 Yonder: The Cloud Catcher Chronicles is a lovely, sedate open world adventure game that inexplicably gates its crafting mechanic behind an obtuse, tiered system that renders it moot.